Sculpture at Kells exhibition. Kells Priory, Co Kilkenny, Ireland. Images of British war ships from different periods of history are etched and fixed onto glass with graphite pigment. 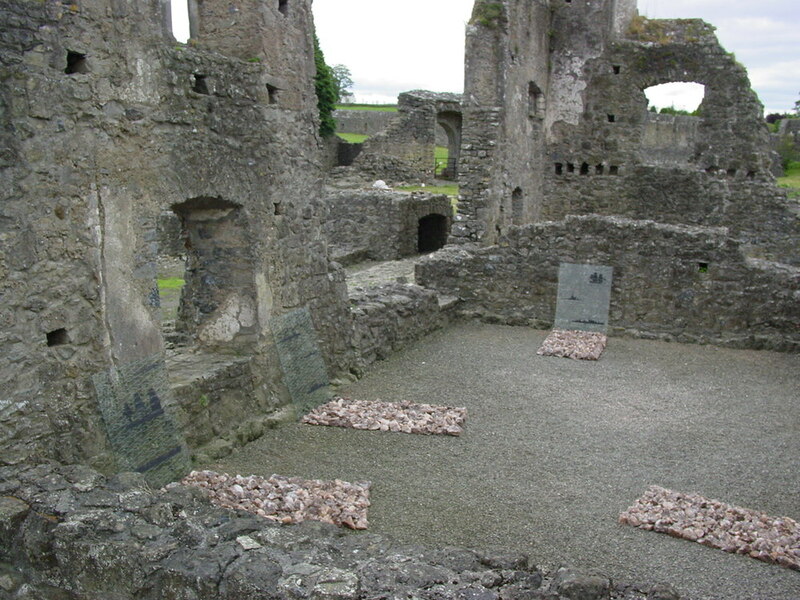 The glass panels with their companion beds of mineral sea salt are leant against the walls of the ruined Priory at Kells in Co Kilkenny. Sound becomes an integral element of the installation as the wind agitates the glass panels against the stone walls of the site raising tension through the potential of breakage and disintegration of the images.